– Some hotels charge an extra fee for the use of a minifridge, even if you’re using it to store your own food. An alternative: Make your own mini-fridge by stocking up on ice from your floor’s ice machine and keep your items in this makeshift cooler! – When staying in a big city or remote resort location, parking is a common issue. However, some hotels use a mandatory valet service. Your car may be more secure in the hotel’s garage; but if you don’t want to pay – look for independent lots in the area. – It is uncommon today for a hotel not to have wifi. But some will charge you for access to log into their wifi connections. Our advice? It’s vacation! Maybe you can leave your laptop off and use the lobby computers for any emergencies. Want learn about more hotel fees that may be added to your bill? Click here to read what SmarterTravel.com’s Caroline Morse has discovered! The season for direct service to Nantucket Memorial Airport is upon us! Starting May 17, JetBlue will offer direct flights from John F. Kennedy International Airport to Nantucket, and with roundtrip fares starting at $117, getting there couldn’t be easier. Beginning May 27, Cape Air will offer direct, seasonal flights from White Plain’s Westchester County Airport, making that Boston layover a thing of the past. Delta and Continental flyers need not fret about layovers either. Starting June 7, Delta’s seasonal direct service from JFK to ACK begins, followed shortly thereafter by Continental, offering direct flights from Newark Liberty International Airport to ACK starting June 15. Whether you’re heading to Nantucket from New York City, Upstate New York, or New Jersey, Nantucket’s seasonal flights mean you’ll be dining at TOPPER’S, sipping beer at Cisco Brewery, or plunging in the pool at White Elephant Hotel Residences in no time at all. After Labor Day we’ll be putting away all our summer whites but not so fast with those Nantucket Reds, they’re alright! While Nantucket conjures images of quintessential New England summers and those famed weathered-looking pants, we recommend donning the slacks this autumn and heading to the Grey Lady. Forget high season crowds, in the fall the masses have dispersed and the rates have dropped. If that alone is not reason enough, here are another 14 Reasons to visit Nantucket in the fall. Fall rates at hotels on the island are greatly reduced in September, October, and November. For example, at the iconic White Elephant the lowest midweek July rate available is $550, while in September guests can stay overnight for as little as $375 with the Hot Dates, Cool Rates promotion. For a small island, Nantucket has a wide variety of renowned culinary establishments that include the new Brick Bistro, award-winning TOPPER’S, and the harborside Brant Point Grill, home to the Lobster Bloody. During restaurant week, three course dinners will be offered at these and other top Nantucket eateries from $25 – $45. Celebrate fall harvest at the Old Mill and learn about Nantucket’s agricultural heritage, play lively colonial games, and make traditional crafts such as cornhusk dolls or beeswax candles. Unlike crowded, impersonal meetings-of-the-minds like TED and the Aspen Institute, the first Nantucket Project will gather amazing speakers including Ed Crane, founder and President of the CATO Institute, a libertarian think tank, and Craig Ventor, biologist and entrepreneur best known for being among the first to sequence the human genome, for an intimate weekend of stimulating lectures and conversation held at the White Elephant. Visit Nantucket’s famous cranberry bogs, generally closed to the public but open for a short time in October just when the berries are harvested. Partake in bog tours, hay rides, sheep-shearing, and, of course, fresh berries and delicious cranberry confections. Nantucket’s top-notch Sankaty Head Golf Club’s coveted ocean views and links-style holes are usually only available to members. In the off season (October-May), for a fee, anyone can tee off. This all-inclusive, two-day, competitive catch and release tournament is two days of competitive fishing for Bluefish, Bonito, Striped Bass, and Atlantic Bonito/False Albacore. To get a “Slam,” one must catch three of a designated species in the same day. All proceeds benefit the Cystic Fibrosis Foundation. Rent a bike and roll down the recently resurfaced 6.4 miles of bike paths of Nantucket and check out the beautiful fall foliage. Bike rentals typically cost around $30/day; complimentary bikes are available for guests of White Elephant Hotel Residences, The Cottages & Lofts at the Boat Basin, and The Wauwinet. Every year kids can dress up and go trick-or-treating at the shops and stores lining Main Street. Enjoy a super spooky stay on Nantucket at the Jared Coffin House, said to be haunted by the ghost of the successful 19th century ship-owner after whom the house was named. Other ghosts are rumored to roam the halls and rooms of this historic property – room rates start at $125 October 23-31. For the month of October, Nantucket Island Resorts will be donating $1 from every room night bought to the American Cancer Society’s Making Strides against Breast Cancer charity. In addition, guests booking a stay during the weekend of October 14-16 will have the opportunity to participate on the Nantucket Island Resorts-sponsored team during Nantucket’s Making Strides against Breast Cancer Walk on Sunday, October 16. Nantucket Island Resorts has committed to a $1000 donation for the Breast Cancer Walk. Those who join the team will receive a complimentary team tee-shirt. Additionally, proceeds from themed cocktails and treats on offer at The Wauwinet, the White Elephant, the White Elephant Hotel Residences, and Jared Coffin House will be donated to the cause. Think getting to Nantucket is difficult and pricey? Phooey! 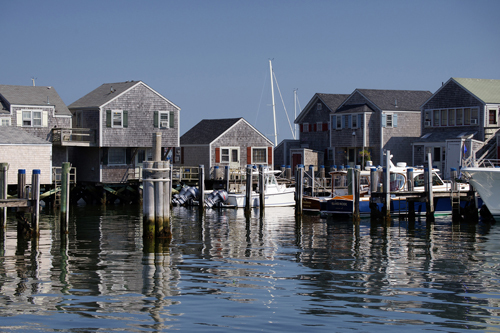 Fly Jet Blue direct from New York City to Nantucket starting at $69 this September. If you took the kids to Nantucket this summer, come back in the fall without the little ones and stay at the romantic Wauwinet (open until October 29). The 32-room inn doesn’t allow children under 12, so there’s no chance of having a screaming baby just down the hall. Rates at this luxury inn start at just $225 in October. Visit the state where the original Thanksgiving took place. The White Elephant’s Brant Point Grill hosts a special Thanksgiving buffet with all the comfort foods you’d expect at your grandmother’s house without all the cooking and dirty dishes. Brave souls can participate in the 10th Annual Turkey Plunge on Children’s Beach, where hundreds jump into cold Nantucket Harbor on Thanksgiving morning. Nantucket Island celebrates the entire holiday season with Nantucket Noel, a month-long celebration organized by the Nantucket Island Chamber of Commerce that runs November 25-December 31. The highlight event is the Annual Christmas Stroll Weekend. Stores, shops, and restaurants open their doors for holidays shoppers, carolers sing favorite holiday tunes, and Santa Claus arrives via a Coast Guard Vessel. This is an authentic experience not to be missed! Several Nantucket Island Resorts properties are open for the Stroll Weekend, including the historic and centrally located Jared Coffin House, the iconic White Elephant, and the luxurious White Elephant Hotel Residences. These properties offer a variety of cozy accommodations for visitors to the island. Ian Fleming, creator of James Bond, would have celebrated his 103rd birthday on May 28 (had he not passed away in 1964). After a WWII mission brought him to the Caribbean, Fleming returned to “paradise on earth” and built his dream villa, GoldenEye. Trade in your martini (shaken, not stirred) for a red stripe and your tuxedo for a new bathing suit and toast to our Commander in Chief’s 103rd birthday! The countdown to warm weather is on! The first little crocuses are peeking out with their green leaves, and soon to follow will be the bright yellow heralds of spring, daffodils! Nantucket honors the trumpeted bloom with its annual Nantucket Daffodil Festival Weekend. From April 29-May 1, the island celebrates with activities such as the Window Decorating Contest, the Antique Car Parade, the Children’s Parade, and the Daffy Hat Pageant, all culminating in the Annual Tailgate Picnic. Also be sure to eat at Jared Coffin House’s new Brick Bistro – opening just in time for the festival weekend. The Cottages, and the Jared Coffin House. For more information, please contact janet@alicemarshall.com, 211 861 4031. Etihad Airways and the Abu Dhabi Tourism Authority (ADTA) are inviting visitors to experience all that Abu Dhabi has to offer with the Essential Abu Dhabi campaign. 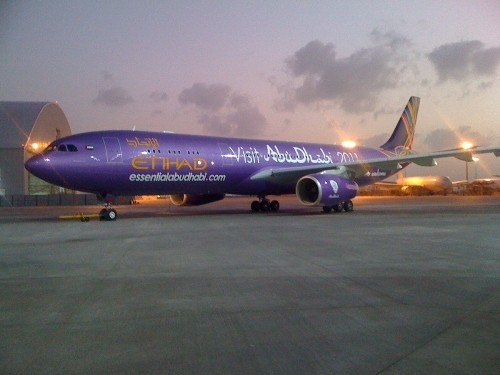 After flying Etihad’s new three class A330-300 aircraft featuring the new Diamond First Class, simply show your boarding pass at participating hotels, restaurants, shops, adventure parks, cultural attractions, and sports facilities – including one of our favorites, Ferrari World – for exclusive offers and deals. After all the essential action in Abu Dhabi, unwind at Qasr Al Sarab Desert Resort by Anantara located just ninety minutes outside the city in the heart of the Liwa Desert. The landscape is home to some of the world’s tallest sand dunes, and was built from the vision of celebrating the traditions of the Emirate and celebrating the culture of the Bedouins. Enjoy a pampering treatment at the spa featuring a real hammam, a camel ride through the desert, or the 2,500 museum-quality Bedouin artefacts sourced from all over Arabia throughout the resort. It’s hard to know what’s more relaxing, the resort or Diamond First Class – let us know your findings! If the Super Bowl were Balinese instead of American, maybe we’d be watching sloths instead of puppies! Parties for this Sunday abound, and every event planner (amateur or otherwise) knows that finding the venue is key. Forget the awesome band or to-die-for hors d’œuvres. If the location is lacking, everything else won’t seem quite as special. Don’t let that scare you, though! 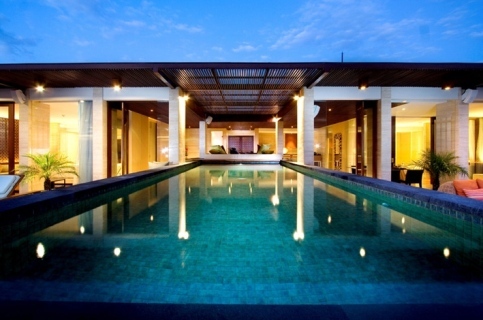 Anantara Seminyak Resort & Spa now has the best of venues for your Bali bash! The one-of-a-kind rooftop Penthouse suite promises distinct glamour and cool with an open pool and contemporary indoor-outdoor spaces. Attendees can enjoy views of the beach, local temples and mountains while sipping signature cocktails and enjoying live music. 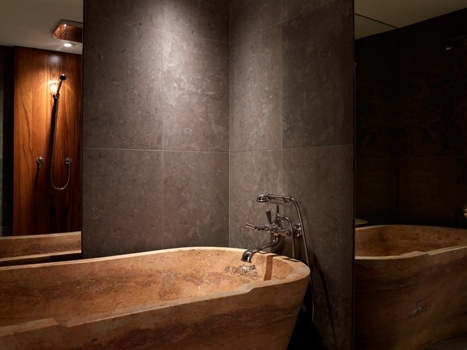 For when the music dies down, the suite offers two bedrooms with beds suspended on marble and stuffed with down. It will be easy to sleep off the party’s effects! Catering for 30 and hosting up to 70 is available beginning at $2,000. Now that’s a touchdown. Nantucket Island Resort’s Hot Dates, Cool Rates are back! Guests who book Nantucket vacations by February 18 not only get their first choice of Hot Dates but also receive the lowest rate of the season with the Hot Dates, Cool Rates Guarantee. Other benefits to booking early include a dinner credit ($25 on $100 spend, or $50 on $150 spend) and two $25 spa treatment credits. Jared Coffin House from $125 | Relax just steps away from Nantucket’s Main Street in this historic inn’s newly decorated guest rooms. 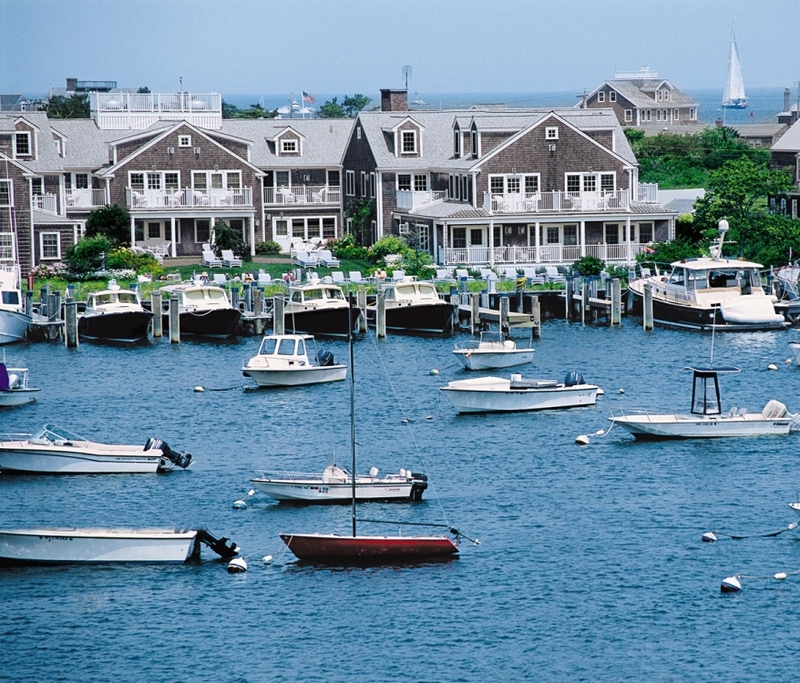 Nantucket Island Resorts also offers add-on packages at any of their hotels to make your Nantucket experience as unforgettable as possible – these include family, couple, babymoon, girlfriend, and golf packages, or more “Uniquely Nantucket” activities like scalloping, lobstering, and seal- or whale-watching. Or choose to visit during one of Nantucket’s annual festivals including Daffodil Festival weekend (April 30-May 1), Wine Festival weekend (May 18-22), and the Nantucket Film Festival (June 22-26). 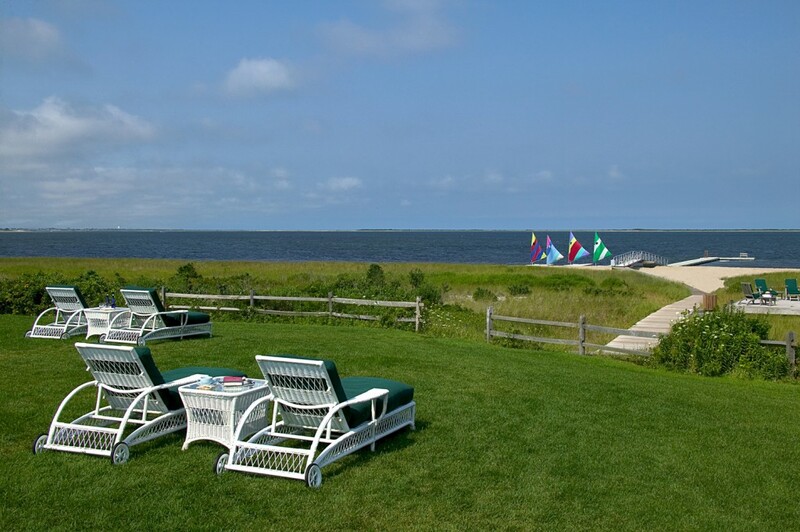 To book online, visit the website of the Nantucket Island Resorts property of your choice and enter the booking code GTDLOW, or call 800.ISLANDS (800.475.2637) or 508.325.1000 and mention booking code GTDLOW. Harlem is visiting the Himalayas tonight… or that’s what they are saying at the Rubin Museum of Art. 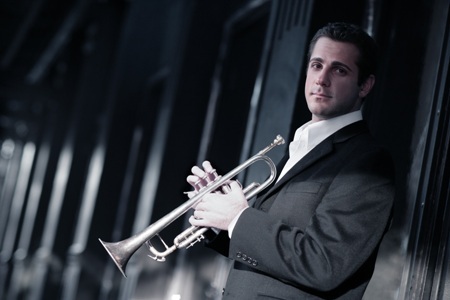 Starting at 7 p.m., Aaron Diehl and the NJMH Allstars featuring trumpeter Dominick Farinacci will play at the Rubin for an intimate crowd. It’s the perfect opportunity to enjoy Big Band music in a contemporary setting. Tickets are $20 ($16.20 for members) and can be bought at the door. No excuse for no plans tonight! If you’re still in need of Valentine’s Day plans, the package from Park Hyatt Washington, D.C. will certainly make you swoon. Couples will receive overnight accommodations in the Presidential Suite, a dedicated butler, welcome amenities including traditional champage, chocolate and strawberries, an in-suite massage with monogrammed robes, a five-course tasting menu with a live pianst, a rose petal drawn path, and breakfast in bed. However, if you think that’s extravagant, the list continues. As icing on the lavish cake, couples can expect a $2,000 shopping spree at Tiffany’s, chauffeured transportation in Park Hyatt Washington’s BMW7-Series sedan, and a private moonlight tour of the city’s famed monuments. It will be hard not to feel the love with such a sweet package!